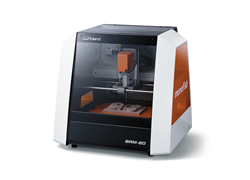 Choose your rapid prototype machine based on maximum part build size, materials you plan to use and the complexity of your parts. 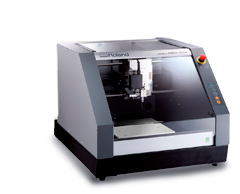 Rotary 4th axis: Automatically rotates and positions your part for 360 degree cutting. Available on the MDX-40A, MDX-50 and MDX-540 series. 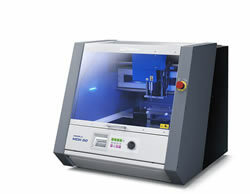 Automatic tool changer: Changes tools automatically and eliminates manual tool changes for unattended prototyping. 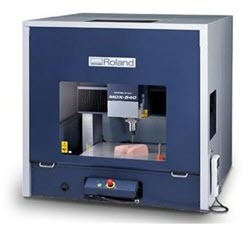 Engraving Kit: Software and tools to perform engraving with your SRM or MDX machine. PC Board Kit: Software and Tools to create prototype PC Boards from ECAD files. 3D Probe Scanner: 3D scan real world objects and import into cad software. Rolling Table: Table for the MDX-540, MDX-50, MDX-40A that we have custom made to fit the machine perfectly. Material Starter Kit: Complete starter material kit with machine ready blanks to get started immediately. Online Training: Complete Online Training SRM-20, MDX-40A, and MDX-50 so you can learn at your own pace. Onsite Training: Onsite Install and Training in all 50 US States for all equipment.